Happy new year to all flower lovers. It's time for us to post Today's Flowers and here's mine. You know what? 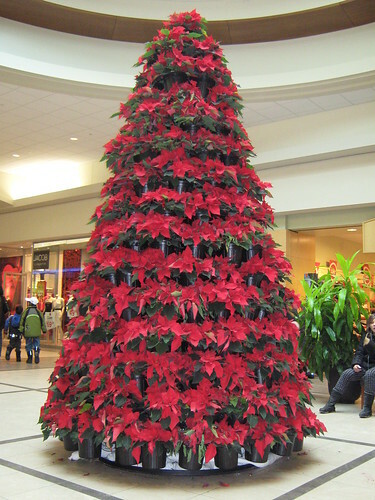 I'm so impressed when I first saw these hundreds of poinsettias at Kitchener mall. So, I ask my friends to sit down for a while because I love to capture these lovely red poinsettias. 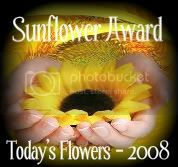 To view more flowers, visit our main site, Todays Flowers hosted by Denise B. Castro and Luiz Santilli Jr. If you love to join feel free to participate anytime you like. God bless and have a nice day. hi Norm, im ksong from http://klwheretogo.blogspot.com i already display your link in 'I Read' column. have a nice day. what a great "Christmas Tree." Wow! how pretty is that? Very nice photo! I love poinsettia "trees." What a lovely tree made from Poinsettia's! I've shared the last roses from my yard this week at Happily Retired Gal and Sacred Ruminations, especially for all those folks who are currently snowbound. I'll be cutting those bushes back in the next week or two so I'll have no NEW roses to share until Spring time. the poinsettas are beautiful thanks for sharing. 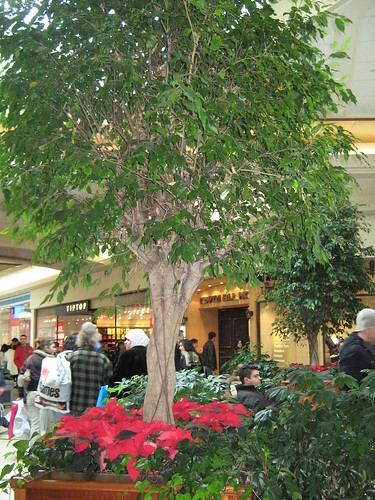 That poinsettia tree is so cool! I love so much this red flower! Here in Brazil this flower appear in the end of the year! Thanks for posting in TODAY'S FLOWERS! Hope you have a Happy 2009. Certainly a novel way for a nursery to display a featured Christmas plant, nice toutch, and great that you picked it up. A very impressive and alive Christmas tree. Red Poinsettias are so vibrant, I love them in my garden, where they flower all through winter into spring. Happy New Year, Norm, and good luck in all your endeavours.